What I’ve noticed about Tripadvisor forums in less-developed nations (namely the Balkans, Stans, and Caucasus) is that tripadvisor works as a way for guides to sell themselves that is more organized than, say, waiting outside train stations and major attractions and touting oneself. It was this former method that I was introduced to Arsim from Kosovo Holidays. As a disclaimer, I will say that it can be hit or miss using the “find your guide on Tripadvisor” method – we ended up with an extremely preachy, annoying driver for the day in Georgia last year who really rubbed us the wrong way. But, that being said, Arsim was great. Arsim met us early in the morning at our hotel in Pristina with a cute old junker of a red Nissan (it seemed fitting for the day and the place), and we were off to Pec.... It only took about an hour to reach Pec from Pristina after driving through some really amazing and historically significant countryside. It was a bit of a somber drive knowing that parts of the country we were driving through were hotbeds of ethnic cleansing during the Kosovo War in 1999 (like the Drenica Valley). Having Arsim as a guide was extremely useful, as we would have missed out on this historical context had we simply taken the bus. Once in Pec, we did some cursory sightseeing around the town – stopping by the city’s largest Catholic church and dusting off my ten Italian phrases to chat with the priest before making our way to the Patriarchy of Pec. The Patriarchy of Pec is an interesting place because it is the center of the Serb Orthodox Church, but is located in Kosovo. Everyone I have talked to about the Yugoslav relationship with religion has told me that Serbs, Croats, Bosniaks, and Kosovars alike are not extremely religious people, but the fact of the matter being that the center of faith of one nation (Serbia) is located in another (albeit contested) nation is quite staggering. 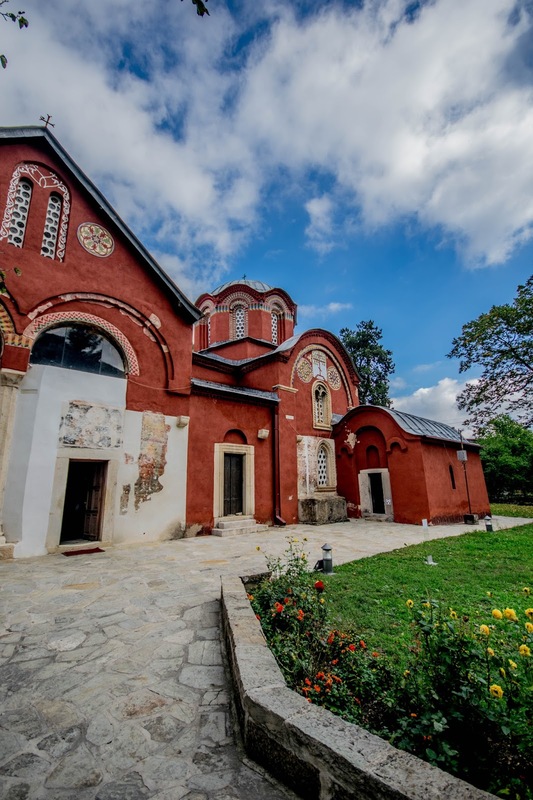 There was a bit of tension in the air whenever Arsim (a Kosovo Albanian) and the nuns at the patriarchy exchanged words – no surprise there, seeing as the war was less than twenty years ago. It was then onward to Prizren – but not before one other stop. Kosovo is famous for its kullas – or fortified houses – especially in the western part of the country close to the borders with Montenegro and Albania. They were built initially during Ottoman occupation as protection from attacks (either from foreign armies, or feuding families). Their construction is fascinating, with livestock usually kept on the bottom floor, then the second and third floors being living quarters, and the fourth floor being a place where men of the family socialized. We were welcomed into a family’s kulla after Arsim made a quick phone call to an acquaintance – someone he apparently knew tangentially as welcoming of tourists into his home. Like most sites we had visited to this point in Kosovo, it was free to visit. I didn’t take any pictures inside to respect the family’s space, but you can see the buildings themselves are quite impressive. Arsim kindly offered to show us a few different spots – including the bazaar in Gjakova – but we declined, wanting to reach our final destination. Kosovo is a small nation, so if you have time, it’s easy to get around on your own. Some places, however, like clusters of original 18th century Kullas in Isniq, may only be reached via your own transportation (or hitchhiking!). 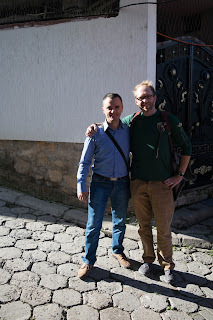 We used Kosovo Holidays to arrange our driver and tour for the day, and found them to be very friendly and affordable. We particularly liked them as they were locally owned and operated in Pristina – though they have a sister company that operates in Albania out of Tirana. All of their tours and services are custom built to meet your needs. If you’re heading to Kosovo and want some help on the ground, they are a great provider – you can contact Arsim at Kosovo Holidays via email at contact@kosovo-holidays.com – conversely, if you are cruising the Kosovo forums at Tripadvisor and ask a question, Arsim will likely be the first person to contact you!